For KOLEV Eng. 2018 FABTECH Was About NextGen Rollforming™. KOLEV Eng. exhibited its roll forming expertise for the first time in Atlanta, GA this year – at 2018 FABTECH. Our team was delighted by the warm southern accommodation and frankly, we were surprised by the sheer volume of the Georgia World Congress Center and the number of exhibitors and attendees. For us, the 2018 FABTECH Atlanta looked even bigger than the last year FABTECH at Chicago. And looking at the number of leads collected and the interest KOLEV Eng. received – we can only conclude that this was a very successful tradeshow for a company that designs and manufactures custom roll forming systems and equipment. At 2018 FABTECH, KOLEV Eng. has exhibited its custom roll forming expertise and capabilities. Our multipurpose demo rollformer was front and center. We have shown on big display videos of our latest completed custom roll forming systems. One of our last rollforming lines included high-end fully automated pick and place loading system. The pick and place automated entry system was designed by KOLEV Eng. 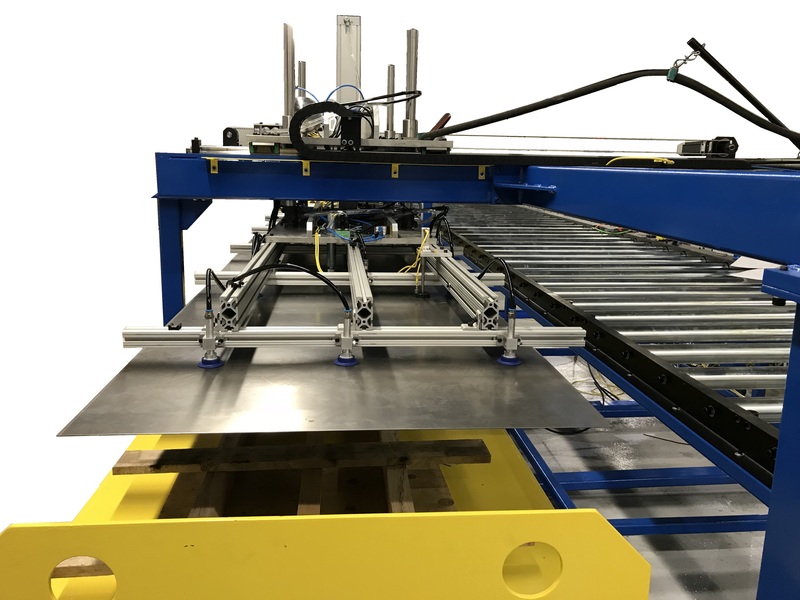 for 14ft pre-cut panels, and built to work with 16 stations roll forming machine. Visitors to our booth B9743 were interested in our custom roll forming designs. Most of them were looking to improve productivity. And most importantly all of them were looking for getting the best value for their money. They were attracted by KOLEV Eng. expertise in roll forming and custom designs of rollforming equipment and lines. Some of them have seen KOLEV Eng. roll forming lines in operation and were telling us that they were impressed. It did not take long for KOLEV Eng. 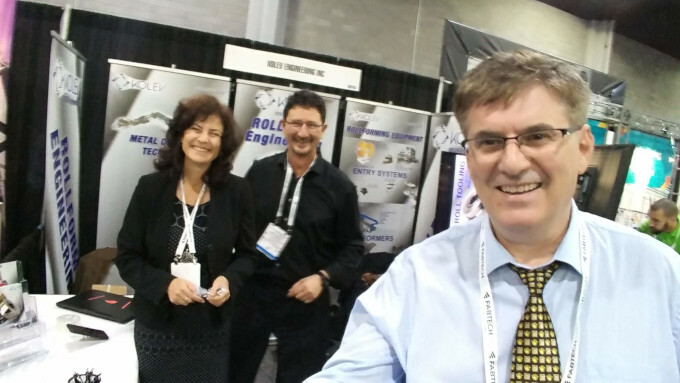 team at the 2018 FABTECH tradeshow to discern a pattern in visitors inquiries. In addition to speed, precision, and value, potential customers were keenly interested in roll forming lines with a high level of customization and automation. Can the operator of my roll forming line quickly switch from the production run of one profile to start rollforming a different profile or a rush job in a short period of time? In other words, potential customers were asking for what we call the Next Generation Roll Forming. KOLEV Eng. has always been looking to design and build roll forming systems for its customers that are state of the art – high-quality roll forming equipment that meets and exceed customers’ requirements for rollforming their parts with speed and precision. In addition to required roll forming line customization, the automation with latest available technology has always been a priority at KOLEV Engineering. To summarize, we at KOLEV Eng. have always been looking at NextGen Rollforming™ and this has been emphasized in our presentations, demonstrations, and conversations at 2018 FABTECH Atlanta, GA.